What are the most important things to check when you’re buying a used car? If you’re considering purchasing one, it’s always a good idea to give it a thorough inspection (and a test drive) before you spend the time and money to have a qualified mechanic look at it. As someone whose career is all about cars, I’m often asked to check out vehicles for friends and family who are considering a purchase. I once had a friend ask me to look at a car. Everything about it was ideal: low mileage, good exterior, great interior and a complete maintenance history. But when I pulled the dipstick for the transmission, I could see small flecks of metal in the fluid and there was a slightly burnt smell. I told her not to buy the car, as it was headed for transmission troubles. She purchased it anyway and, a few months later, had three thousand dollars in transmission replacement come her way. If you’re looking to buy a car, you should try to avoid any hidden problems like that. This used car inspection checklist should help you. Each item item on it is marked with one to three dollar signs to indicate how costly it may be to repair. (You can also get a free Vehicle History and Analysis Report or download a PDF of our Used Car Inspection Checklist). Rust is rarely good. On a used car, it can be a sign of serious bodywork issues down the line. Rust negatively impacts the value of a used car and most often appears around the wheel wells, at fastening points (wherever screws or bolts go through the panels), and underneath the vehicle at frame mounting points and around fasteners and connection points on the chassis. Visually inspect for rust as best you can. A mechanic should look more closely if the car passes your initial inspection. On a car’s body, rust is repairable but can be expensive if you aren’t a do-it-yourself bodywork mechanic. Rust on the working parts of an automobile can be a sign of serious issues coming soon, and it’s a good reason to pass on the vehicle’s purchase. Despite what your grandparents told you, literally kicking tires is not very helpful. You want to get up close and personal with the tires to inspect their condition and tread life. Using a penny, put Abe Lincoln’s head down into the tread lines. If the top of his head is visible when you’re eyeballing it level with the tire’s surface, you’re looking at a car that needs new tires. That’s expensive. Look at the tires for other signs of wear and defects such as cracks in the sidewalls, bulges, and wheels that have bends or weld points on them. None of these are good signs and the latter is a good reason to avoid the car. 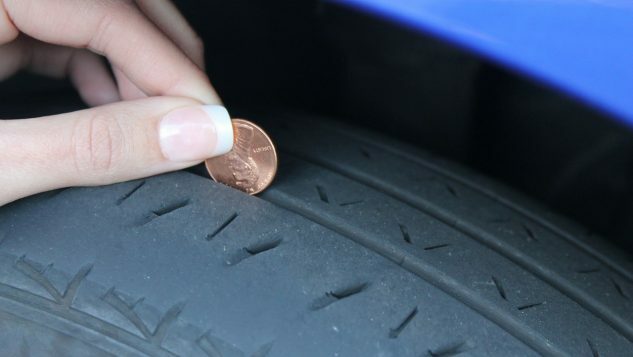 On a low-cost car, new tires can quickly become a large percentage of the car’s overall value, so use your best judgement when weighing the purchase. Look under the car for fluid leaks, especially fluids leaking and dripping from around the engine or transmission. Open the hood and look for leaks or seepage there as well, especially around the seams of the engine block and where hoses are clamped to engine or other components. Leaks from the engine block, transmission, brakes, etc. are all bad signs and are a good reason to take a pass on purchasing the vehicle. Remember that where the fluid drips from is not necessarily where the leak is. Try to trace leaks to their source, if you can. Consider any leak to be suspect. The car’s bodywork should be even, mostly free of dents and dings, and have clear alignment along the seams and edges. Paint and color should match throughout the body. If any the color doesn’t match or lines aren’t even, it’s very likely the vehicle has been in an accident and had repairs that you should know about before purchasing it. Also check to make sure that the hood and trunk open and close easily and latch securely, without extra effort. Replacement bodywork alone is not a reason to skip buying a car, but if the owner has not been honest about the car’s accident and repair history, that is definitely a good reason to walk away. Check the belts and hoses under the hood. Belts around the accessories should be clean, show no cracks and have no frays. They should be smoothly ensconced into the grooves of the pulleys they run around. Likewise, hoses should be crack-free and not brittle or tough. You should be able to squeeze most of them with your fingers without much effort, but you shouldn’t be able to pinch them off entirely without getting aggressive. Any of these needing replacement aren’t reasons to not purchase a vehicle, but if they are happening in combination with other problems, they could be a sign of neglected maintenance on the vehicle. Pull the oil dipstick out and wipe it clean, then reinsert it and pull it out again. The oil level should be at or near the “full” mark. Note that most dipsticks have two marks, one for “hot” and one for “cold.” If the engine has been running and is warm to the touch, use the hot mark. Otherwise, use the cold one. Some may display the oil level as acceptable when within an area of the stick. You should also visually inspect the oil on the stick to be sure it’s not dark in color and doesn’t display any flecks or grit in it. All bad signs. If the oil in a used car for sale is bad, it’s not a good sign towards the overall maintenance and care the car has received and is a good reason to find another vehicle to buy. Like the oil, the transmission fluid has its own dipstick (on automatic transmission models). Trans fluid can vary in color, but it’s usually red or green. It should be clean and at the correct level, according to the dipstick marks. More importantly, it should not smell burnt or metallic. Transmission fluid with questionable quality (dirty, of mixed color) or smelling burnt is reason to believe that expensive transmission problems are coming. Engine coolant is the water that keeps the engine operating at the right temperature. 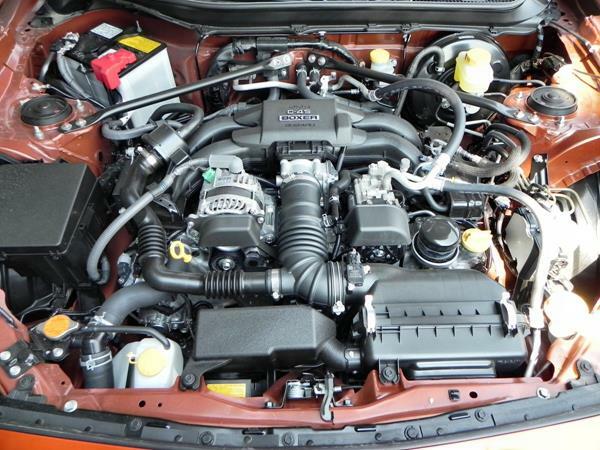 When the engine is cool, you can remove the cap and look at the fluid in the radiator. Vehicles equipped with an overflow can have that fluid inspected as well, but nothing beats looking at the fluid that’s actually circulating in the car. It should be a uniform color that’s clean and oil-free. Dirty coolant is not a reason to walk away from a purchase, but coolant that’s contaminated could indicate other problems, which can be worrisome. Most modern cars have power windows, door locks and other accessories that can fail. These can be easy or expensive to fix, depending on the model, so checking them is important. Run all of the door locks, windows, etc. to make sure they are operating smoothly. Use the key and/or keyfob to lock and unlock doors and to manually unlock the doors as well. It’s not likely that any one of these problems, on their own, are a reason to walk away from a used car purchase, but several of them together could mean costly repairs altogether. Check the interior for signs of leaking. A damp or musty smell is a dead giveaway. Damp areas or liquid stains in the headliner, floorboards and around door seams are another bad sign. Dampness or a sweet smell under the dashboard is a sign that the heater core for the in-cabin heating is or has recently been leaking. Signs of leakage and the repair of those leaks (and the damage they cause) can be expensive, and the smells and after-effects are not something you’ll want to deal with. All seat belts should be operational and able to click into place without a fuss. The rear seat belts should be able to lock for a child safety seat by pulling the seat belt all the way out and letting it ratchet back in. The heating and air conditioning in the car should be operational, especially window defrosts and other critical components. Fixing the A/C is one of the most expensive items on many cars, so having a properly working air conditioning unit is important. The A/C is not only required for keeping the cabin cool, but it can also greatly aid the window defrost by pulling moisture from the air being blown onto the windscreen. Problems with HVAC can be expensive and are a good reason to walk away from the purchase of a used car. You should ask the car’s current owner for the car’s maintenance history. A complete record of the car’s history and maintenance (big or small) is a good sign that the owner been conscientious about keeping the car in top shape, and it gives a full accounting of the issues it may have had. Any car with a maintenance history is automatically more valuable to a new owner. Go to www.iseecars.com/vin to get a free comprehensive report instantly showing the vehicle’s market value, price and listing history, projected depreciation, objective dealer ratings and much more including resources to obtain vehicle history report, see if there are open recalls and if the car had been stolen.